YouTube is working on a paid subscription service called Unplugged that would offer customers a bundle of cable TV channels streamed over the Internet, people familiar with the plan said. YouTube, a unit of Alphabet Inc.’s main Google Internet business, is pursuing subscriptions for premium video to complement the largest ad-supported video site in the world. YouTube introduced its first paid subscription service, Red, last fall. Unplugged would bring more premium content onto YouTube’s web service and mobile apps, grabbing more viewing time and generating more non-advertising revenue. YouTube has been working on an online cable package since at least 2012, one of the people said, but these plans have taken on new urgency in the past few months. Christian Oestlien and Jonathan Zepp are among top YouTube executives working on Unplugged, the people added. Apple Inc. and Amazon.com Inc. are working on similar proposals, while Dish Network Corp. and Sony Corp. have already introduced online TV services. YouTube’s interest in a live TV package has been reported in the past, but this the first time the name and details of the plan have emerged. YouTube declined to comment. YouTube has discussed different ways of packaging TV channels, the people said. In one scenario, it would build a bundle of channels with the four U.S. broadcast networks and a smattering of popular cable channels, a concept known in the industry as a skinny bundle. This is similar to a proposal Apple has discussed with media companies for some time. Like Apple, YouTube has struggled to secure all the channels it wants at a desirable price. YouTube wants to sell a package for less than $35 a month, the people said, but large media companies expect new providers to pay more per channel than existing partners Comcast and AT&T Inc.
YouTube has also discussed offering a collection of less-watched TV channels and creating smaller groups of channels around themes. A YouTube Unplugged comedy bundle might include three or four TV channels such as Comedy Central, while a lifestyle bundle might include the Style Network. Using this approach, YouTube could show it is capable of bringing new viewers to many of these second-tier channels, a major concern for large media companies that depend on TV for most of their profits. If YouTube can make it work, media companies may be more open to including more-successful channels later, one of the people familiar said. With the number of subscribers in decline for cable channels such as Walt Disney Co.’s ESPN, Time Warner Inc.’s TNT and Viacom’s MTV, media companies are hoping skinny bundles can bring back customers, especially young ones. While Apple, Amazon and Google have frustrated media companies over the years with on-and-off content negotiations, they are more popular among young consumers than any cable company. These technology giants also have a large reservoir of customers buying their devices, and each sells a set-top box to stream video from apps like Netflix Inc. and Hulu. With tech companies placing more emphasis on TV, and media companies looking for new distribution, executives are more optimistic about concluding negotiations, the people said. While executives at Disney had previously been wary of skinny bundles, demanding caps on the number of subscribers any such service could have, Chief Executive Officer Bob Iger has since said it is important for its ESPN sports channel to be in these packages no matter the number of customers. Still, media companies resist any plan that doesn’t include their top channels. Dish took Fox’s four non-news networks in a recent deal for its Sling TV product, which also includes channels from Scripps Networks Interactive and Turner Broadcasting System Inc.
Analysts question whether Dish can continue to sell Sling for $20 a month without deals for the most-watched TV networks CBS and NBC. Dish secured the rights for the online TV service over many years, and still has yet to get everything it wants. Consumers may feel the same way. 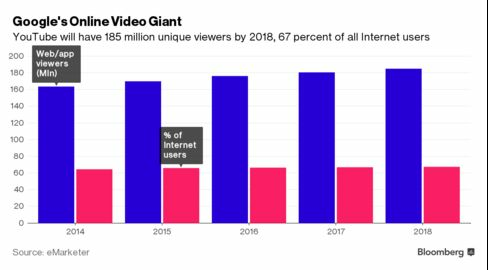 As tech giants explore ways to bring traditional, live TV to the web, viewers are flocking to on-demand services like Netflix, Hulu and Amazon. Hulu, owned by Fox, Disney and Comcast, also plans to expand its offering and sell an online TV service with live channels.